GFOP is the total solution for providing fuel savings and low emission heavy fuel on-line. With the unique 2-stage homogenization processes, no emulsion–breaking will occur. With the water remaining in a stable emulsion, it lowers the viscosity of the fuel oil so the pre-heating temperature can be much lower. Power consumption for pumping can be dramatically reduced if not eliminated and blocking of the fuel pipe line and injection nozzle will not occur. With the additive FDA-200, loss of calorific value is reduced to within the range of tolerance. Combustion efficiency of the boiler is increased, meaning that significant fuel saving is achievable. Environmentally friendly – low emissions of noxious gases is achievable, especially for the dramatic reduction of S.S, CO, CO2, SOX and NOX. Since no high temperature pre-heating is required, which previously meant that sinking and separation of colloidal Asphaltene from the fuel caused sticky deposits and sludge to adhere to the pipe lines and tank bottom, is now prevented. There is no sludge build-up on the tank bottom or the walls of the pipe line. Since that oxygen obtaining capability is increased due to the 2nd round micro-explosion in the combustion chamber, flow speed of combustion-aid air from the secondary ( 2nd) air blower could be reduced, it refers to that power required could be minimized in the mean time. 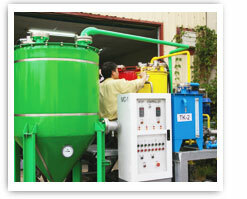 Since the decrease of second air blast, the temperature of tail gas could be also reduced. It helps to reduce a sulfide congeal in the dew point and result the sulfate. 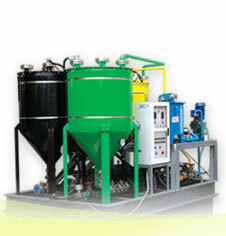 This situation can effectively restrain sulfur corrosion.